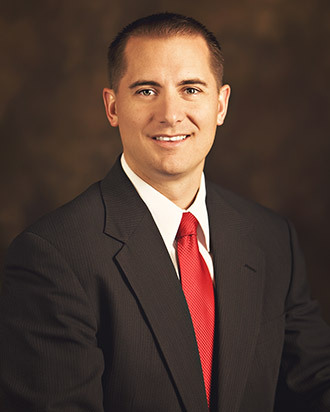 Aaron works closely with families and business owners to craft personal financial plans and investment strategies and policies. His advice is based on sound academic research and his keen understanding of efficient markets. As a natural communicator and a thoughtful listener, he helps to improve the financial future of everyone he works with. In his investment-oversight role at Onyx, Aaron helps clients carefully plan for all facets of their personal finances. With his extensive knowledge of financial markets and products, clients receive specific strategies that guide all their current and future investment decisions in pursuit of their unique goals and objectives. Aaron's experience as a CPA means that he also actively mitigates negative tax consequences of investment decisions and pays attention to the potential impact each action has on insurance policies and estate plans. Aaron went into business to provide excellent service so it's fitting that he's quite passionate about helping others achieve their financial goals. Early on, he discovered a talent for accounting and was excited to be accepted into a top-three accounting program at BYU. Once in public accounting, he audited numerous small-to-medium-sized businesses where he became acquainted with the owners, and their varied business responsibilities and processes. He frequently observed the undesirable impact of financial decisions driven by hype and the related lure to chase returns without considering the risks. This has stayed with him. Leaving public accounting to start his own technology and financial-consulting business, Aaron began to truly appreciate how meaningful it is to work one-on-one with people to create solutions and results. He also experienced the opportunities and challenges of business ownership and understood, firsthand, the pressures of growing a business along with securing a personal financial future. In particular, he is familiar with the discomfort that occurs in the tug-of-war between opportunity and risk. These past experiences contribute to Aaron's heightened awareness of issues at play when families and individuals plan for retirement and financial success. As people look to achieve their goals, the seemingly unending demands for their time and money emphasize the need for competent, attentive service and advice. Aaron goes out of his way to provide the thoughtful guidance and broad perspective that people need to make wise, long-term financial decisions. Upon graduation, Aaron joined Grant Thornton where he worked with banks, credit unions, real estate companies, and businesses across several industries. He advanced to the position of senior auditor before starting his own company and then joining Onyx Financial Advisors. Aaron joined Onyx because he "fell in love with the process—we don't pretend to try to outguess the market. We're not into any hype." Aaron and his wife have four children, three of whom are boys so it works out well that he loves coaching youth football and basketball. He enjoys traveling with his family, spending time outdoors, cycling, playing golf, and participating in team sports. He's also fluent in Spanish.